Oklahoma City (ISR #1) has won 23 straight. They defeated Division II Southwestern Oklahoma State 5-3 in mid-week, then swept U. Of Science and Arts of Oklahoma, 8-4, 3-2, and 4-2. The Stars came from behind in the first game, and had to shut down late rallies by USAO in the second and third games. Corey Theriot, Allen Townsend, and Rich Hawkins got the wins. The Stars lead the NAIA in fielding, with a .980 average. They host Division II Southeastern Oklahoma State on Tuesday, Hastings on Wednesday, and Saint Gregory's on Thursday. They visit Saint Gregory's on March 26. Fresno Pacific (#2) won three of four against Cal Baptist (#3), and two of the wins were shutouts. Jesse Darrah pitched the first one, allowed two hits, walked none, struck out 12. The Sunbirds won 3-0 on home runs by 1B Wes Dorrell and C Michael Vaughn. The second shutout was 6-0; Aaron Lynn also allowed only two hits, struck out nine, and had a no-hitter going into the seventh inning. 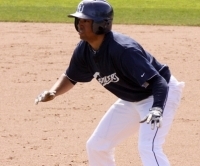 DH Michael Rivera hit a three-RBI double. Rivera got a save in the fourth game of the series, a 4-2 win for the Sunbirds. The Lancers' win was 4-3 in the second game of the series. 1B John Manzano hit an RBI double in the bottom of the eighth to win it; Patrick Smith got the win in relief. The Sunbirds are 17-9. Biola (#13) leads the Golden State Athletic Conference with an 11-4 record, and the Sunbirds and Lancers are tied for second place with an 11-5 record. The Sunbirds host Point Loma Nazarene on Wednesday, and visit Point Loma on March 26. 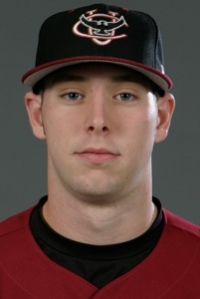 LHP Zach Hull, a sophomore at Lewis-Clark State, was killed in a vehicle accident in Lewiston, ID. Hull, of nearby Moscow, ID, was having a great season. He was 3-0, and had pitched 17 1/3 innings without allowing an earned run. Cal Baptist (ISR #1) split four games with Azusa Pacific (#16), winning 2-1, losing 5-1, winning 10-3, and losing 7-3. Taylor Siemens went the distance in the first game, scattering eight hits and striking out 11, and not walking a batter. The Lancers' runs came from solo home runs by SS Brian Sharp and 1B Josh Manzano. Morgan Wynne got the win for the Cougars in the second game. Erik Wallace got the win for the Lancers in the third game, went eight innings, allowed four hits. In the fourth game, 1B Johnathan Erb went 2-3 and batted in three runs for the Cougars; Nolan Rudman got a win in his first start of the season; he allowed four hits over six innings, struck out seven. The Lancers are now 23-4, and they remain at the top of the Golden State Athletic Conference standing with a 10-2 record. Next up is Fresno Pacific (#3), at home on Wednesday, and away on March 19. The Sunbirds are 13-8, and swept four games against The Master's last week. Oklahoma City (#2) has won 19 straight. They started the week with a 6-5 win over Iowa Wesleyan. Courtesy runner Brian Fisher scored the winning run in the bottom of the ninth on a wild pitch. Steve Styck, who pitched the final inning, got his second win of the season. The Stars then swept three games from Northwestern Oklahoma State, 17-7, 2-1, and 4-1 (eight innings). 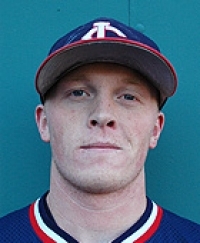 Allen Townsend got the 2-1 win, struck out eight, didn't allow an earned run. Matt Presley batted in the winning run in the third game. Rich Hawkins went the eight-inning distance for the Stars. Hawkins is 3-2, 2.05 ERA. The 19-2 Stars visit Division II Southwestern Oklahoma State on Tuesday, U. Of Science and Arts of Oklahoma on Thursday, and host USAO on March 19. 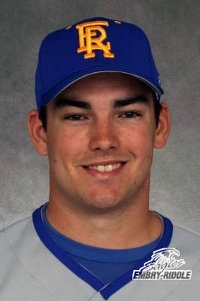 Embry-Riddle (#4) started the week with a 10-2 win over Jamestown; SS Ben Kline went 3-4 with two doubles. Brandon Creath went seven innings, allowed two hits, struck out eight. 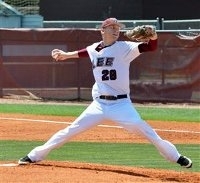 The Eagles then won two games against Tennessee Wesleyan, 8-2 and 8-5. Ryan Vigue and Robbie Ratliff got the wins. Next, their 13-game winning streak was broken by South Carolina-Beaufort, 7-6 in 11 innings. The Eagles led 5-0 at one point, but needed a sacrifice fly by CF Aaron Glaum in the top of the ninth to send it into extra innings. The Sand Sharks loaded the bases with one out in the bottom of the 11th, and Larry Perry hit a single with two out to win it. 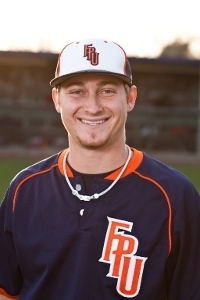 Andrew Barrineau, who pitched the last three innings for the Sand Sharks, got the win. The Eagles swept a double-header against the Sand Sharks the next day, 2-0 and 10-7 (11 innings). This was described in Embry-Riddle's press release as “one of the most intense doubleheaders in recent history.” Ryan Vigue got his second win of the week in the complete-game shutout. He allowed only four hits, and struck out 11. The Eagles got the winning run in the first inning on an RBI single by 3B Steve Sabins. The only other run of the game came on an RBI single by C Adam Cellini in the seventh inning. The Sand Sharks had the tying run at first in the bottom of the eighth, but Vigue got LF/RF Ty Main to ground out to end the only scoring threat of the game by the Sand Sharks. Oklahoma City got a 17-6 mid-week win against Briar Cliff, then swept a three-game series against Lubbock Christian, 1-0, 5-3, and 7-4, giving the Chaparrals their first losses of the season. Corey Theriot pitched a complet-game shutout in the first game, allowed four hits, struck out five. 2B/3B Dearth Parker hit an RBI double in the bottom of the fifth to score the only run of the game. Paul Gonzalez, who pitched a complete game for the Chaparrals, got the loss. In the second game, the Stars lit up Chaparral starter Lucas Whitmore for five runs in the first two innings, and the Chaparrals left the bases loaded three times. Allen Townsend got the win. Story from Oklahoma City site: Stars finish off Lubbock Christian 1-0, 5-3. The Stars trailed the third game most of the way, but scored six runs in the bottom of the eighth, led by a two-RBI triple by CF Ruben Sosa. The Stars were also helped by two Chaparral errors in the inning. Rich Hawkins got the win in relief; he went five innings, allowed two runs on three hits. Story from Oklahoma City site: Stars sweep Lubbock Christian with 7-4 win. The Stars and Chaparrals will not meet again until the Sooner Conference tournament. The three losses dropped the Chaparrals to 14-3. The Chaparrals visit Kansas Wesleyan on Tuesday, host York (8-6) on Wednesday, and host Rogers State (17-1) March 11-12. The Stars finished the week with a 22-8 win over Iowa Wesleyan, to run their record to 15-2. SS Kirk Walker, 1B Austin Messerli, and CF Terrance Jackson hit home runs. The Stars play one more game against Iowa Wesleyan on Tuesday, host Northwestern Oklahoma State on Thursday, and visit Northwestern Oklahoma State on March 12. Cumberland got their first loss of the season against McKendree, 2-1. 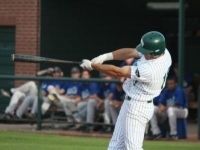 The Bearcats scored both of their runs in the bottom of the seventh of a seven-inning game. 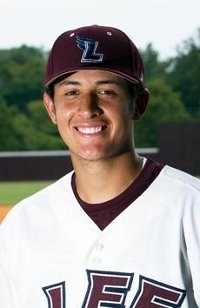 Will Locante of the Bulldogs went the distance, allowed only three hits, but two of those hits, and the only walk issued by Locante, came in the seventh inning. C Kyle Moll hit an RBI single to tie it. Moll then scored the winning run on a squeeze bunt. The Bulldogs rebounded with a 12-3 win over McKendree, then defeated Belhaven 4-2. 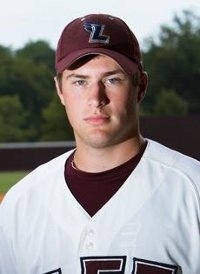 Aaron Wilkerson got the win over Belhaven, went seven innings, allowed four hits, struck out seven. The Bulldogs out-hit the Blazers by only 7-6, but two of the Bulldogs' hits were home runs by RF Cory Farris; he batted in all four runs. Farris hit another home run earlier in the day against McKendree. The Bulldogs host Brewton-Parker Feb. 25-26, and Indiana Tech Feb. 27. Brewton-Parker is 10-1 (see below). The Blazers, who are 7-2, host Bethel (TN) Tuesday and Wednesday, and LSU-Alexandria Feb. 25-26.